Create memorable experiences together at the perfect Arizona golf vacation getaway. Wrap yourself in the warmth, colors and textures of the stunning Sonoran Desert brought to life. Fully renovated in late 2015, Holiday Inn Club Vacations Scottsdale Resort offers a completely refreshed experience. The resort features 213 generously appointed and spacious 2 bedroom villas. Enjoy modern, southwest-style spaces with fully equipped kitchens, dining areas, private balconies and all the comforts of home. Resort amenities include four sparkling outdoor pools, one with interactive water features for kids. When it's time to relax, grab a bite at the casual Red Rock Kitchen or cool off with signature cocktail at the bar. Plus, our new fitness center features the latest equipment and everyone loves staying connected with our complimentary Wi-Fi featured throughout the resort. The fun begins again nearby the resort. 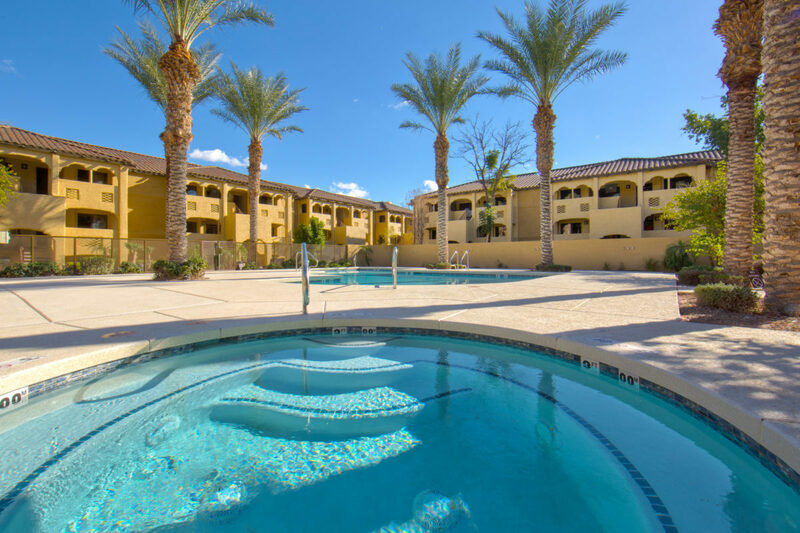 Kierland Commons and the Quarter shopping and entertainment areas, Camelback Mountain and historic downtown are all approximately 20 minutes away.